It is very easy to simply do the same thing that we have always done. Whether it be the same exercises in the school or following the same route out hacking. It is all too easy to become entrenched in our habits. Stepping outside the box can give you fresh insight and a different perspective into your riding and your relationship with your horse. Do you always work your horse in the school through the same set of exercises and through the same paces in the same order? For examples, lots of us begin in walk before progressing through trot work, and then finally to canter. 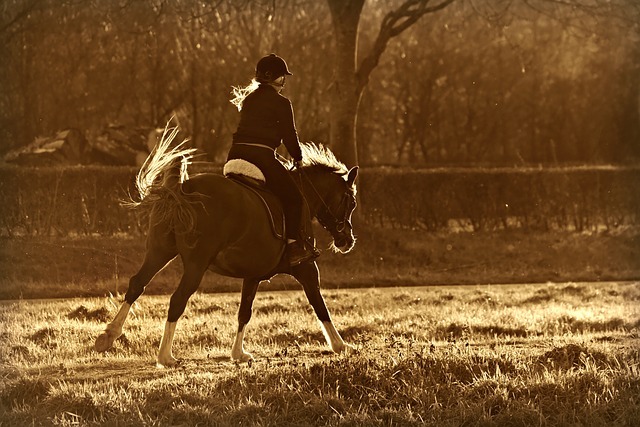 Why not try working the canter before the trot? It can have the effect of opening the trot up and can be beneficial. Or if you find that your horse seems a little stale, try going around the block in the opposite direction that you usually go. Suddenly, it will seem like a whole fresh new hack. Or you could try leading your horse around your usual walk. Both of you will gain a new perspective from doing that, and work in hand will always help your ridden relationship. It is so easy to do the same things over and over, but sometimes it is good to set yourself a challenge and step outside of your comfort zone. It doesn’t have to be a competition or a huge challenge, it could be taking your horse to a different venue to school him or meeting up with a friend to go for a hack. Or going for an all-day hack (check your weather forecast first!) Whatever you choose to do that is different from your everyday routine will give you a new experience. Every time we try something new, we learn something. It may simply be that we learn not to do that again! But trying out new things is good for us and our horses. Experiences can always be put towards learning, so that our knowledge and understanding increases.